-There’s a young mother of two that’s working at BBVA Compass. She’s doing great in her job and her youngest child just started school in a great school system. She has made incredible strides in the past five months! – One guy that we sponsored into a recovery program last year has made it to the final phase of the program. God opened the door for us to help him get a job at Marathon Electrical and he loves going to work each day. He is really growing in his understanding of what it will take for him to live a responsible, Christ-honoring life. – A guy that we’ve known for three years approached us last week about going into a recovery program. He has always been a nice guy that we enjoy spending time with, but he struggled so much with his pride. He thought he could do it on his own. He’s finally coming to grip with the fact that he needs help. We’re scheduled to take him to recovery on Thursday! -There’s a young lady from the Over the Mountain area that has been clean for the last two months. We were able to connect her with a physician in town that’s working with her on her recovery. Right now we’re in the process of seeking employment opportunities for her. – There are three guys that were struggling and unemployed two weeks ago. HOAR Construction approached us about putting some of our guys to work. God’s timing is always amazing. They all three just started work last week and have the opportunity to make some really positive changes in their lives. These folks come from a wide variety of upbringings and circumstances. All of them have needed our help in unique ways. One of the things we love about what God has empowered us to do is the ability to address a diverse set of needs. We’re able to assess the circumstances of each individual and seek the Lord’s guidance in how we can help. It’s an extremely personal process. Please be in pray for each of these individuals and the people that are ministering to them. They each have tough challenges ahead and we’re there to walk with them through it all. I’m not really sure how to describe the last few weeks. It has been interesting for sure. One of the toughest things we deal with is balancing toughness and firmness with grace and mercy. It can be excruciatingly difficult. Let’s face it; the folks we work with make bone-headed decisions on a pretty consistent basis. We get that. We understand it. Folks don’t wind up in most of these situations because of great decision-making. If Jim and I were to sit down with you at Starbucks and start talking about the struggles these people face on a daily basis, we’d talk to you about their environment and how they were raised. We’d talk to you about the decision-making that has been modeled for them for the past 20, 30, sometimes 40+ years. We’d talk to you about the grace, mercy, and Christ-likeness they’re desperate to have modeled for them. Fast–forward to when we’re sitting across from someone that just lost a job because of a failed drug test, dug themselves into a financial situation so bad they can’t see straight, or someone that just flat out won’t listen to sound, godly wisdom and we might just lose our collective minds. Grace? Mercy? Christ-likeness? Forget that, we’re going straight to tearing them a new one. We might just rant and rave for the next day or two about it. I mean, seriously, how could they do that? Wait, what about the way they were raised? What about what has been modeled for them their whole lives? What about their environment? What about their desperate need for Jesus? It’s easy to have that perspective from a distance. It’s easy to look at things like that when everything is calm and we’re just chatting. But when you get down and dirty in the middle of all the junk people are dealing with, that perspective can be tough to keep. We admit that we don’t always do the best job in this regard. It’s so easy to let ourselves get in the way of things. It’s so easy to make things about ourselves. The firmness and toughness are needed. Without them, we can slip into enabling. People have to be responsible for their actions. However, they still need grace and mercy as they pick up the pieces of the messes they’ve made. They need people to show them there’s a different and better way to live, namely a way that comes through trusting and following Jesus. 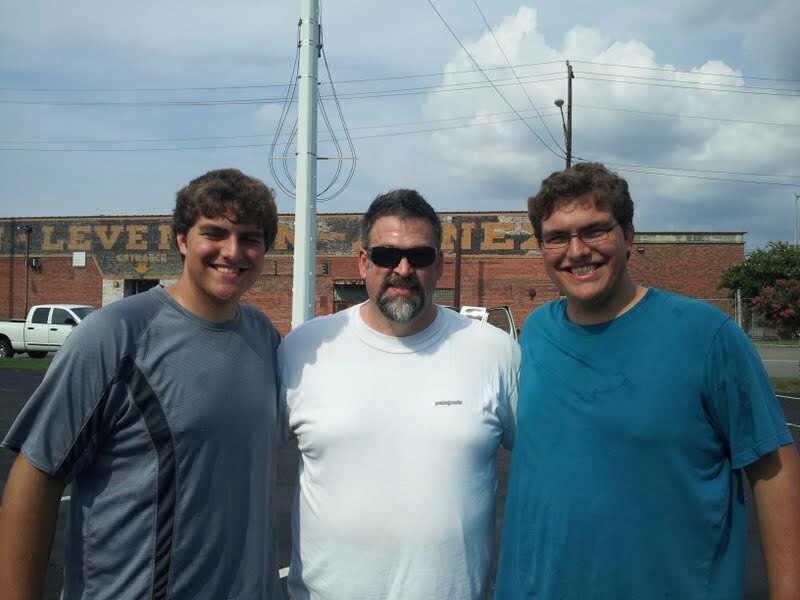 James (left) and Christopher (right) with Jim after Sunday’s meal. Today downtown there was a different crowd than usual. None of the people that I normally talk with were there right at the beginning, so I had step out of my comfort zone and talk with someone new, which I never enjoy doing. Another volunteer and I walked up to a man that we knew by sight, but had never spoken to. We started out just discussing small things, like his family and where he was from, but after fifteen or so minutes went by, we began to get into some deeper stuff. He expressed to me his disdain of people offering to pray for him because he feels that he can pray for himself just fine and those people are hypocrites anyway. While I listened to him talk about this, I was reminded of the end of Ephesians where Paul asks the believers to pray for him also. I shared this with him, trying to lead him to an understanding of the power of prayer through others, that even Paul wanted/needed others to pray for him. He didn’t take that too well, which showed me how convinced he was of his own beliefs. We continued talking and ended amiably, and then he left. Then Nicholas, a man that I have been talking to for nearly two years, showed up right as we were about to leave, allowing me to catch up with him from this past week. After we finished catching up, I reminded him that this would be my final week. Being an alcoholic and a schizophrenic, he had forgotten that I had been telling him this for a few weeks. But he accepted it as he always does, and tried to give me advice for college, and we parted ways. It was tough for me to watch him walk away, knowing that after almost two years of talking, and attempting to prod the conversations towards rehab or Jesus, he is still walking away in the same situation that I first met him in. 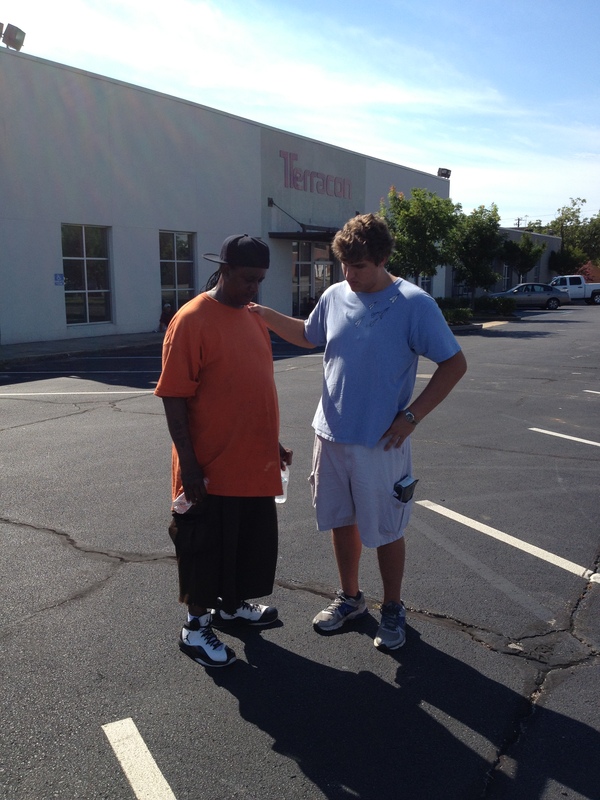 In that moment, I was comforted by the fact that Urban Purpose would still be down there every week, meeting his physical needs, and God will still be working in his life, drawing him into a relationship with Him. Christopher spending some time with Nicholas. When I got downtown, I began my usual walk down the line to greet everyone. This allows me to not only look for familiar faces, but also present myself to anyone who is willing to talk and just needs someone to walk up to them. About halfway through the line, I saw Emmitt. Emmitt and I met about a year ago and have talked when he is in town. He has just recently found a job working for a man who cleans houses and apartments for a real estate company, so we began talking about that. Emmitt has been encouraged by the job and has been praising God, however he still lacks a true understanding of how to live for God. A little while later, Emmitt’s friend Oliver walked up. I had only met Oliver once, but we began talking like we had known each other for years. He began telling me about everything from his time in the Vietnam War to his current situation. As the conversation hit a lull, I asked him what he had planned for the week. He told me that this week he would wake up each morning, pray to God for guidance for the day, read some Scripture, and attempt to follow God in whatever the day, and the Spirit, presented him with. I was humbled by his complete devotion to God and his reliance on God’s promises. Many of the men I have met downtown over the years understand full dependence on God, since they have little else to fall back upon. I was reminded of Luke 18:25 and have been thinking about how many of us who have been blessed with so much often forget to rely on God and begin to rely on ourselves or our possessions. 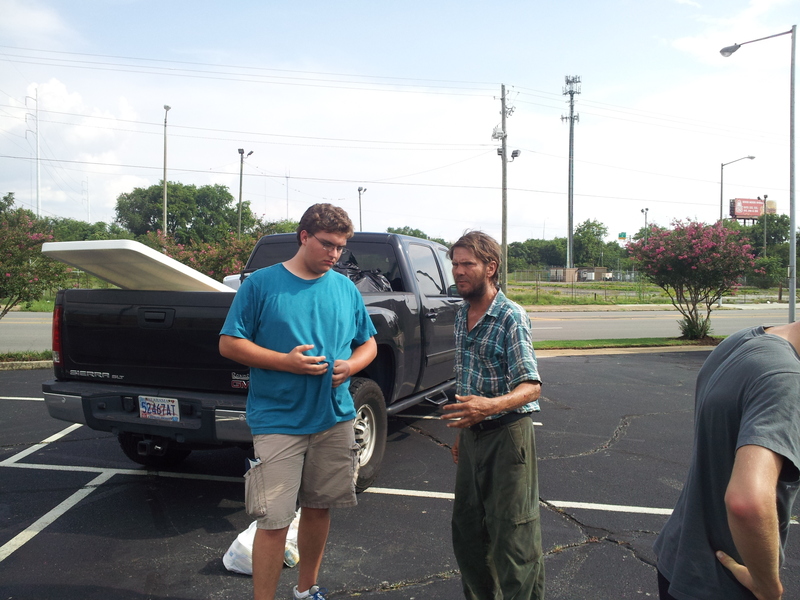 After praying with Oliver and Emmitt, I walked over to a man named Pete. Pete was already in a conversation with Curt Martin. Pete was telling Curt about experiences he has had with God during his life, witnessing a miraculous healing and being barely saved from a car accident. In the year I have known Pete, we have talked about God, and he has always displayed a great deal of knowledge about Christ and Scripture, however today he admitted to Curt and me that he has never followed Christ as his personal savior. Curt and I began to ask him why, and he told us he was afraid. Afraid of what, he was not sure. We prayed for him, and hopefully God will continue to work in his heart. There are many men downtown just like Pete who have a knowledge of who Christ is but are not living for God’s glory. As always, God taught me a great deal today, and I pray God allows me to continue to work with Urban Purpose. Occupation: I am an application support analyst for Ascension Health – IS at St. Vincent’s Health System. Gosh — since 1980. I interned at St. Vincent’s after graduation and never left. I was born and raised in Anniston and then headed to Auburn. I like Full Moon, Habeneros, any Chinese buffet. Anything (not quite) quick and cheap. I very rarely cook. Lately I have been on a tomato sandwich binge. No cooking! If I read something besides the Bible, it is usually non-fiction. I can recommend these: Passport Through Darkness, Sold, Not For Sale, I Would Die for You, Helping Without Hurting, The Immortal Life of Henrietta Lacks, and that big fat Bonhoeffer biography. New stuff on TV would be Chopped or House Hunters International. Old stuff? I Love Lucy, Andy of Mayberry, Leave it to Beaver. I haven’t been to the movies in years. I have always LOVED old movies — stuff like Casablanca or Now Voyager or Mildred Pierce. What initially drew you to Urban Purpose? For starters, I wear God out these days praying for direction about what He wants me to do. When I saw the video in church (early last year) where Jim was describing Urban Purpose, I was kind of grabbed by that because I could see that it was clearly God that had burdened Jim in that way. It stayed with me and I began to poke around to see how I might become involved. 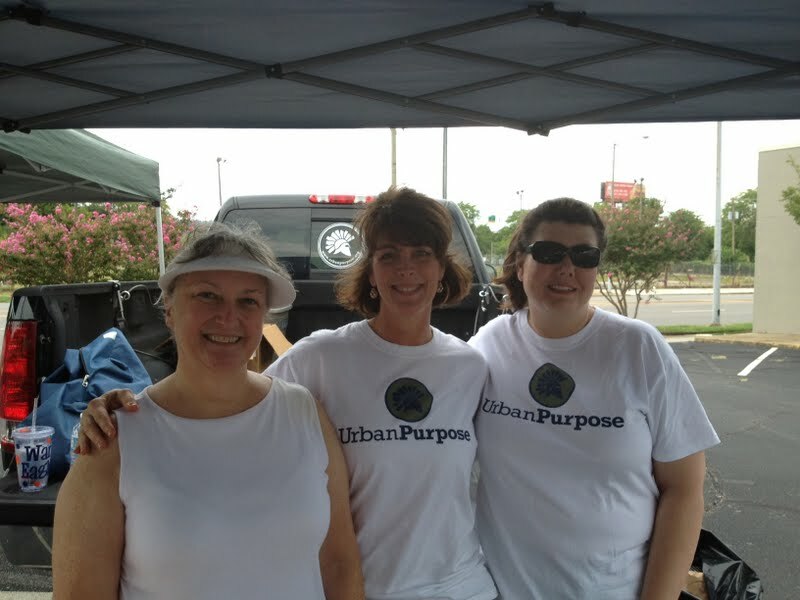 Why do you make serving with Urban Purpose a priority in your life? That first Sunday that I went with the group downtown and I saw the people lined up and waiting for us, I just fell in love with them. That was a God thing. I guess it is really true that if you pray for God to let you see people the way He sees them, it happens! Now that I go most every Sunday, I have been able to meet many individuals that I can pray for throughout the week. Each Sunday, I look forward to seeing them again so I can know how things are going. Then I meet new people again and, basically, I’m hooked. I enjoy it. I look forward to it. That’s God. What has your involvement taught you about serving others? I know all the Scriptures about loving and giving and serving. I know Jesus came “not to be served, but to serve”. I know writing a check to help fund a ministry is important but I think the Lord intends for us to do more than that. He uses us (even me) to show people what He is like – so – how can they see Jesus in us if we don’t GO where there is a need? I enjoy giving and serving. God has given me a love for the poor and a desire to serve Him by showing that love in some tangible way. I don’t know about everybody else but I can say that I am truly not worthy to represent Jesus in this world except for the fact that He is living and working through me. If I can stay out of His way, maybe He can accomplish some good through me. THAT would be fantastic. Why would you encourage someone else to get involved in Urban Purpose? What happens on Sunday afternoons is important but it’s not just because some people get something to eat or have some physical need met. People need to know that they are loved. Sunday after Sunday we can demonstrate the unconditional love of God because of our presence, our smiles, our hugs, and our conversations. If we will make ourselves available, Jesus can love through us and His love will draw them to Himself. It may take time but the Lord can change lives once those lives are opened up to Him. If we are most like Christ when we are serving others, then we all need to be finding ways to show people what Jesus looks like. Urban Purpose is a ministry that does just that. 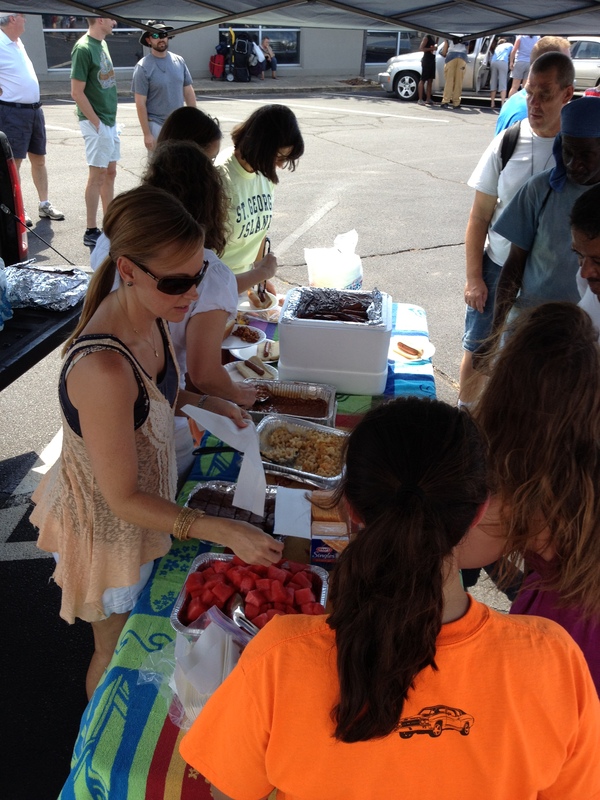 The serving line last Sunday. 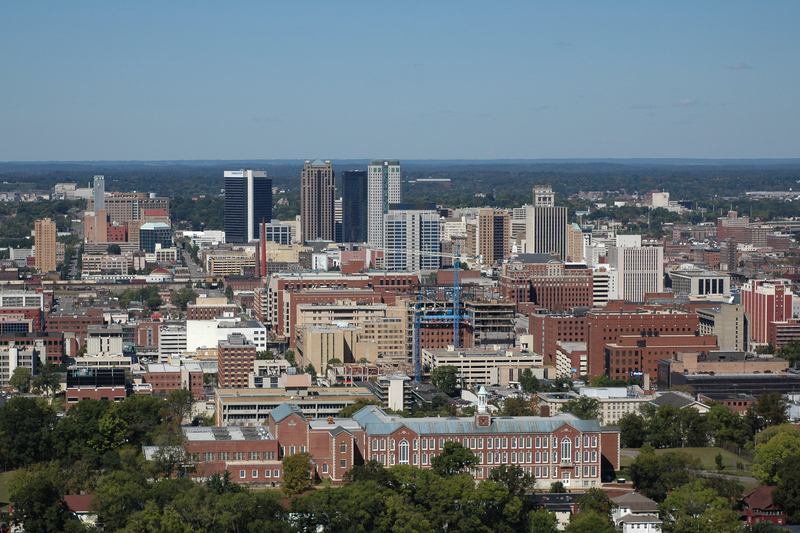 Our Sunday meals are where we really begin to build relationships with the men and women on the streets of downtown Birmingham. So, when these meals get sponsored it really goes beyond just the food. 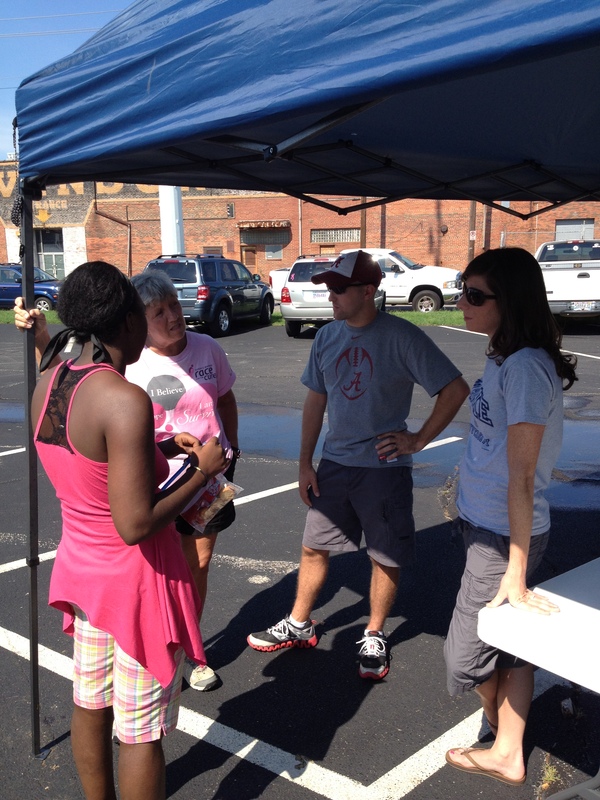 It’s gives us an open door to get to know people, share the gospel, and see how we can help them. The meals are also a great way for groups, Sunday School classes, or families to serve alongside each other. We’d love for you to take a second and look at our meal calendar and see if there is a date you’d be interested in signing up for. Here is a direct link to sign-up for a particular date: Sign Up For A Meal. Here is a link to a little bit more information about what is expected of you when you sign up for a meal: Sunday Meal Details. If you have any questions, please don’t hesitate to email or call Mark Jenkins (mark@urbanpurpose.org or 205-937-2870). We’d love to get a good head start on the fall and winter as soon as possible. Pray for Josh. He just went into the final phase of his recovery program and started a new job last week. Pray that he continues to grow spiritually and has the wisdom and strength to stand against the temptations that will inevitably come his way. Pray for H and B. Both are doing well in their respective situations. Pray that they would continue to mature and grow. Each has unique needs at this point, so pray that the necessary doors continue to open. Pray for our “150 Challenge” fundraising campaign. We really need to get some momentum going in our push for 150 monthly donors. Check out this link for more information: 150 Challenge. Keep Jim and me (Mark) in prayer. Pray that our hearts and minds stay focused on Christ and his calling on our lives. 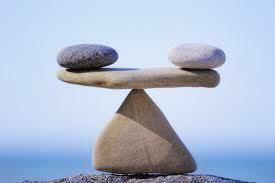 Pray that we respond to situations with the proper balance of firmness, discernment, and grace.